What Makes Hand Scraped Hardwood Flooring Great? Are you looking for a One-of-a-kind Hardwood Floor? Handscraped Hardwood Flooringhas been an excellent option allowing for a unique and original look for your floors for many years. This, done by hand, is a very time consuming process and it will cost you. Fortunately for us, in today’s market you can get hanscraped floors directly from the manufacturer and they are just as unique as they were originally. 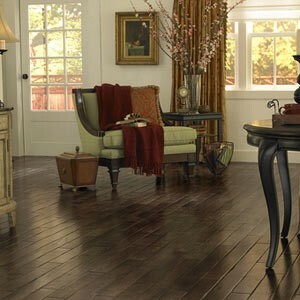 The handscraped look is becoming increasingly popular, due to its vintage qualities. Not to mention, when remodeling older homes it is important when going for a historically accurate look it is important to keep the integrity of the original flooring. With modern handscraped wood this is easily done. Plank flooring dates back to the late 1600’s and they used the scraping technique for several hundreds of years to smooth out the flooring. Over time craftsmen became artisans, not just evening out the boards, but perfecting the marking and sculpting of the wood giving it an original look. Today, handscraped hardwood flooring is designed to achieve an older, handmade look, but it now benefits from the modern finishes that can gloss and protect the flooring. The handscraped look isn’t just achieved on solid wood anymore. You can also find engineered hardwood flooring done in this style. The texturing process makes it look amazing. In fact, when comparing solid versus engineered with a handscraped look it is hard to tell the difference. This opens up different installation possibilities, allowing you to install below the grade level! Another advantage of handscraped hardwood flooring is the fact that you welcome inconsistencies and blemishes into the design. The more beat up it looks, the more vintage and traditional it will seem. Great news for parents or animal lovers, because these floors welcome wear and tear with open arms. High traffic areas are a good application for these amazing floors, as well. Distressing is a more modern technique used to achieve the handscraped look. It is typically done with a machine. Using a wire brush of sorts on floor. 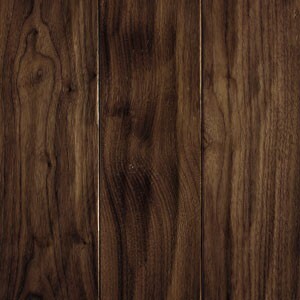 This gives the wood less of a wavy look on the surface area, and tends to look more worn. This will give wood that older look. With these floors the possibilities are endless, whether remodeling a house to its original design scheme, or your own interpretation of a unique vintage look, these floors look like they were made for that room specifically.